Roy Harris is an accomplished American martial artist, known in the Brazilian jiu jitsu world for being a black belt under Joe Moreira and is often (wrongly) mentioned as a part of the “BJJ Dirty Dozen“, the first group of 12 non Brazilian men to have been distinguished with the rank of black belt in this grappling style. Roy Harris is also known as one of the first instructors to publicly publish a formal testing criteria for jiu jitsu, formalizing his promotion tests from white belt to black belt. 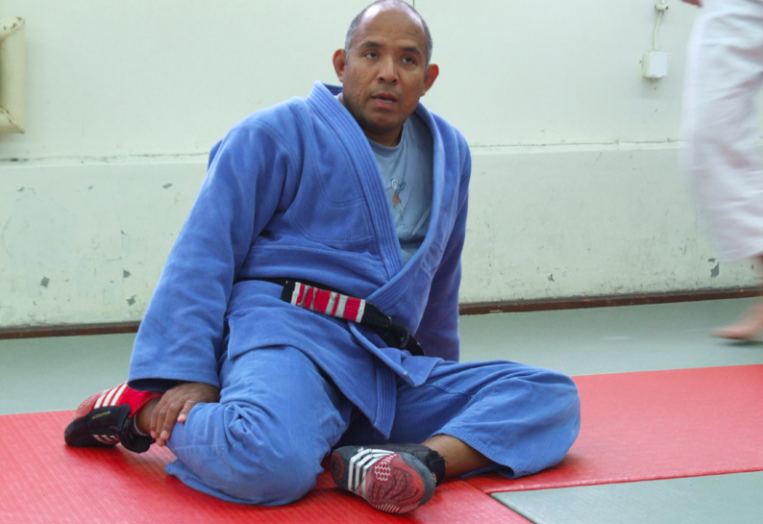 For full biography, go to BJJ Heroes. It has come to light that Roy Harris now offers to grade and promote students that he has never seen in person all the way to BJJ brown belt 2nd stripe by email and video. 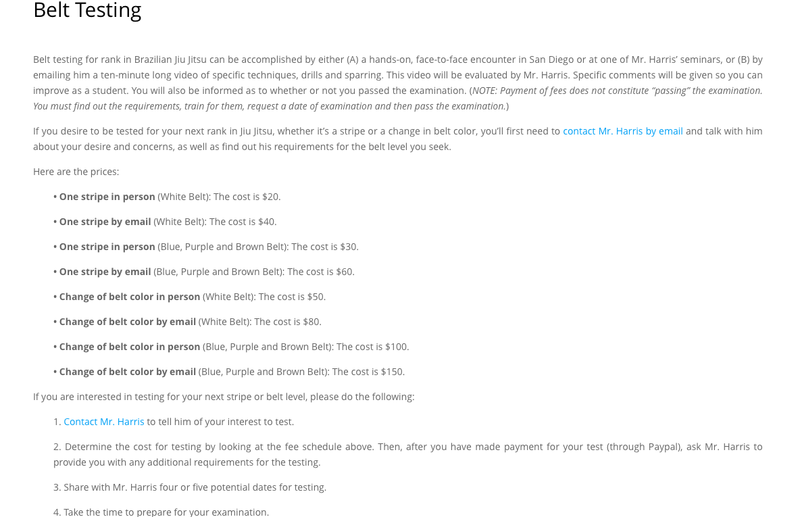 Testing by video through email can only be done from white belt up to brown belt second stripe. In other words, to test for brown belt third stripe, brown belt first stripe as well as black belt and above, the student must travel to wherever Mr. Harris is and test with him in person. This means that Roy Harris has taken it a step way past the controversial Gracie University which gives a ‘Technical blue belt’ to its students online. 2 years ago, they were giving actual blue belts online but with all the controversy following Rener Gracie’s statment that ‘learning Jiu-Jitsu online is even more effective than in the academy’ (see article here), Gracie University was forced to change it’s grading policy. Blue belts would not be given online anymore and they were replaced by a ‘technical blue belt’. Effective June 1, 2014, students whocomplete the Gracie Combatives program from home, and pass the Blue Belt Test via the Video Evaluation Process (no need for any live rolling , just demonstrating techniques), will earn a Gracie University “Technical Blue Belt.” To earn the Official Gracie Academy Blue Belt, students must pass an extended hands-on evaluation with Ryron, Rener, or an authorized Gracie Academy representative at a Certified Training Center. Rickson Gracie explained in interview with Tatame, that it was him who convinced his nephew Rener Gracie to stop promoting students online.